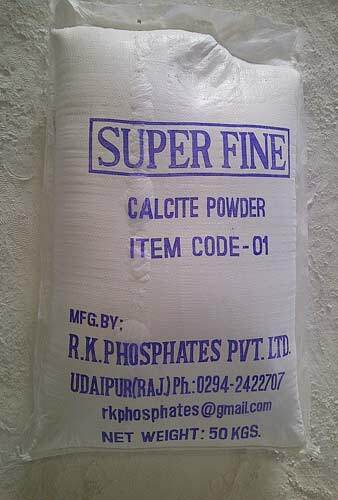 R.K.Phosphates Pvt. Ltd. offers Calcite under trade name ULTRAFINE/SUPERFINE and is a natural Calcium Carbonate with extremely high whiteness, purity and free flowing in nature. It is widely used in Thermoplastic application because of its compatibility with Polymers and other organic additives. The Company in its process of continuous up -gradation and R & D has developed special products to suit certain tailor-made applications in field of Thermoplastics and Paints.